WASHINGTON – The Smithsonian’s National Museum of the American Indian will open the “Nation to Nation: Treaties Between the United States and American Indian Nations” exhibit Sept. 21 during the museum’s 10th anniversary on the National Mall. The exhibit is the museum’s most ambitious effort yet, presenting the Native nations’ individual treaties side-by-side in their largest historical collection ever presented to an audience. The exhibition focuses on eight treaties representing the approximately 374 ratified between the United States and the Native nations, on loan from the National Archives. 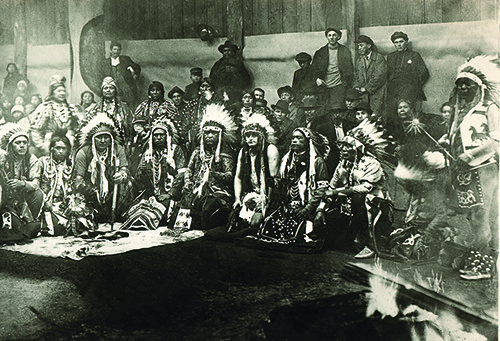 Each document details and solidifies the diplomatic agreements between the United States and the neighboring Native nations. 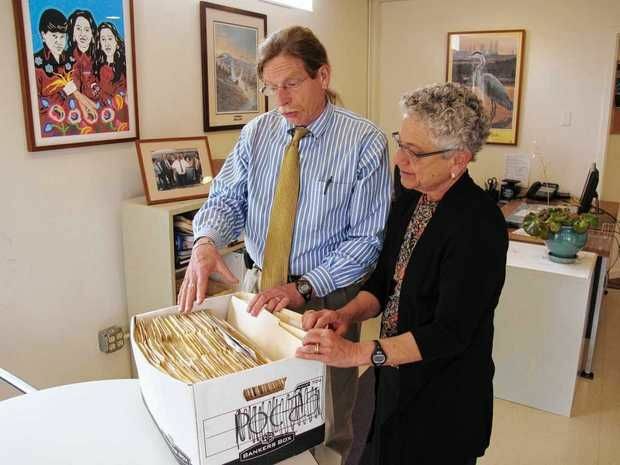 More than 125 objects, including art and artifacts, from the museum’s collection and private lenders will be featured, including the Navajo blanket owned by Gen. William Sherman, a collection of Plains nations pipes and beaded pipe bags, peace medals given to Thomas Jefferson and George Washington and the sword and scabbard of Andrew Jackson. 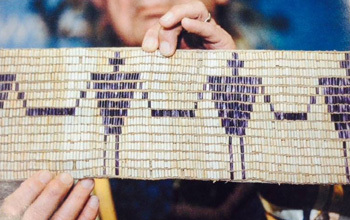 Video installations, archival photographs, wampum belts, textiles, baskets and peace medals highlight each historical moment and help tell the story of the early ancestors of the Native nations and their efforts to live side-by-side at the birth of the United States. The exhibit will be on display through Sept. 1, 2018. The NMAI’s hours are 10 a.m. to 5:30 p.m. daily. It is closed on Dec. 25. Admission is free. The museum is located at 4th St. and Independence Ave. SW.
To learn more about the exhibit, email asia.romero@edelman.com, or call 202-772-4294. Indian rights lawyers argue that a Sandpiper spill could endanger their rights to gather wild rice. In a new battlefront over energy policy, American Indian rights attorneys argued Wednesday before a Minnesota judge that historic treaties give tribes a say in where to build crude oil pipelines across land ceded by the Chippewa in the 19th century. “Everybody has kind of forgotten what our rights are, and that is why we are here,” Frank Bibeau, an attorney for the Indian nonprofit group Honor the Earth, told an administrative law judge at a hearing in St. Paul. Honor the Earth says the proposed $2.6 billion Sandpiper crude oil pipeline across northern Minnesota will produce “inevitable oil spills and environmental degradation” on ceded lands. Spills could endanger Rice Lake near McGregor and Sandy Lake in ­Aitkin County where Indians gather wild rice, the group says. For the first time in Minnesota, Indian rights attorneys are arguing that the state Public Utilities Commission (PUC) lacks unilateral authority to approve pipelines. They want the state to reject the proposed route of the Sandpiper pipeline from North Dakota, and have offered an alternative path. Enbridge Energy’s preferred pipeline route goes southeast from Clearbrook, Minn., passing west of Park Rapids and then heading east to Superior, Wis. It avoids Indian reservations, but passes through ceded lands on which Chippewa bands retain the right to fish, hunt and gather rice. Attorneys for the company contend that the commission has no business deciding the meaning of federal treaties. Even so, much of the two-hour discussion before Judge Eric Lipman focused on 10 treaties signed between 1825 and 1864 by Minnesota Indian tribes. “It would represent a dramatic departure from the commission’s precedent and would significantly impact not just pipeline projects but all large energy projects sited in northern Minnesota,” said Christine Brusven, an attorney for the Calgary-based pipeline company that’s proposing to build the 610-mile pipeline to carry North Dakota oil. Lipman, who is overseeing the regulatory review of the pipeline, is expected to rule on the treaty rights question, but the final decision rests with the Public Utilities Commission. The issue ultimately could land in federal court. Before the hearing, about 45 Honor the Earth supporters, led by the group’s leader Winona LaDuke, demonstrated outside the PUC’s office. Some Minnesota tribes have successfully asserted off-reservation rights under 19th century treaties. The U.S. Supreme Court in 1999 affirmed that the Mille Lacs Band of Chippewa and seven other Chippewa bands retained hunting, fishing and gathering rights under an 1837 treaty on lands and lakes ceded by the tribes in central Minnesota, including Lake Mille Lacs. Similar rights have been recognized under other treaties, and state and tribal governments share responsibility for game management in some ceded areas. This year, the Fond du Lac Band of Chippewa is exercising rights under an 1854 treaty to spear walleyes in several lakes in northeastern Minnesota’s Arrowhead region. Honor the Earth attorneys contend that the 19th century treaties and early 20th century court rulings about wild rice reserves give the Ojibwe a present-day right to help make decisions affecting treaty-related resources. “We are not saying we have an absolute veto,” Bibeau said in an interview. 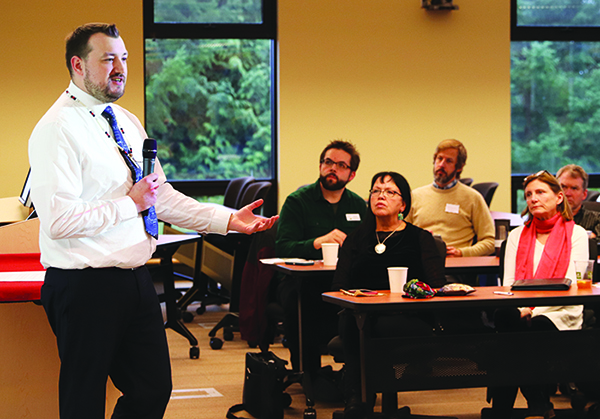 Prof. Peter Erlinder of William Mitchell College of Law, who also represents Honor the Earth, said various treaties “need to be accommodated by state regulatory activities.” He said the state and tribes need to find a way to cooperate on pipeline siting. But Enbridge attorney Randy Thompson, who represented Lake Mille Lacs landowners in the 1999 case, said Honor the Earth overstates the reach of the landmark decision. Legal experts say protection of natural resources under 19th century Indian treaties is an emerging area of law. “We have very little idea where it is going to go,” said James Coleman, an assistant professor of energy law at the University of Calgary and Haskayne School of Business. In the state of Washington, a tribe with rights to fish for migrating salmon has successfully argued that the state Transportation Department must repair hundreds of culverts that block the passage of fish. Federal judges, most recently in 2013, have ruled that the barrier culverts violate treaty promises. Another federal judge in that state upheld in 1996 the U.S. Army Corps of Engineers’ right to deny a permit for a fish farm because it conflicted with the Lummi Nation’s treaty fishing rights. Most treaty cases have been decided in federal court. Honor the Earth’s legal battle is unusual because it’s in a state regulatory proceeding. Bibeau said he reserves the right to take the case to tribal or federal court later. In two previous Minnesota utility cases, tribes tried unsuccessfully to assert tribal authority over proposed pipelines or power lines. In 2011, the Leech Lake Band of Ojibwe objected to a proposed transmission line that skirted tribal lands, but lost in federal court. 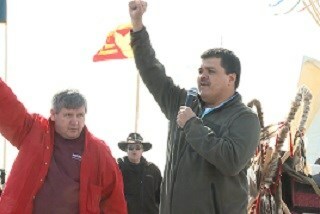 The Fond du Lac Band of Lake Superior Chippewa objected to another pipeline in 2007. That project, like the transmission line, eventually won approval of the PUC. Coleman, who grew up in the Twin Cities, said Indian activists face a difficult legal battle in the pipeline case. Unlike the Washington cases, he said, where judges saw actual harm to treaty-protected resources, the Minnesota concerns are about a potential situation, and depending on how bad the disaster was, maybe at some point it could eliminate those treaty rights. A Native American group is asking the international community to charge the United States with human rights violations in hopes of getting help with a land claim. 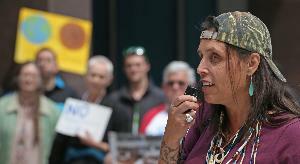 The Onondaga Indian Nation says it plans to file a petition at the Organization of American States on Tuesday, seeking human rights violations against the United States government. It wants the Inter-American Commission on Human Rights to declare that the U.S. government’s decision not to hear its lawsuit asking for the return of 2.5 million acres in upstate New York to be violations of international human rights agreements. The nation has argued that about 4,000 square miles in 11 upstate New York counties stretching from Pennsylvania to Canada was illegally taken through a series of bogus treaties. More than 875,000 people live in the area, which includes Syracuse and other cities. U.S. courts have refused to hear the lawsuit asking for the return of their land, with the Supreme Court turning away a final petition in October. “The problem is that we can’t get the governor to sit down with us and the United States to live up to its treaty rights,” said the Onondaga Nation’s attorney, Joe Heath. The group says it is not seeking monetary damages, eviction of residents or rental payments. Instead, it wants a declaration that the land continues to belong to the Onondagas and that federal treaties were violated when it was taken away. Onondaga leaders have said they would use their claim to force the cleanup of hazardous, polluted sites like Onondaga Lake. The petition against the United States was brought by the Onondaga Nation and the Haudenosaunee Confederacy, which is made up of the Onondaga, Mohawk, Oneida, Cayuga and Seneca Nations. It could be years before the commission decides whether to hear the nation’s complaint, Heath said. Even then, there is nothing that could force the government to follow international recommendations, Heath said. The hope is that public pressure would bring state and federal officials to the table. “Yes, they can just ignore it but there’s only so long we think can they do that,” said Heath. Even if nothing happens, they will have made their stand, they said. 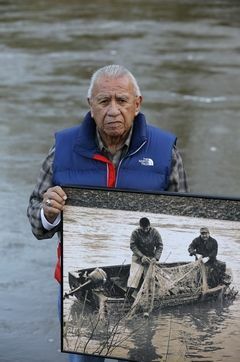 Billy Frank Jr., a Nisqually tribal elder who was arrested dozens of times while trying to assert his native fishing rights during the Fish Wars of the 1960s and ‘70s, holds a late-1960s photo of himself Monday (left) fishing with Don McCloud, near Frank’s Landing on the Nisqually River. Several state lawmakers are pushing to give people arrested during the Fish Wars a chance to expunge their convictions from the record. SEATTLE — Decades after American Indians were arrested for exercising treaty-protected fishing rights during a nationally watched confrontation with authorities, a proposal in the state Legislature would give those who were jailed a chance to clear their convictions from the record. Tribal members and others were roughed up, harassed and arrested while asserting their right to fish for salmon off-reservation under treaties signed with the federal government more than a century prior. The Northwest fish-ins, which were known as the “Fish Wars” and modeled after sit-ins of the civil rights movement, were part of larger demonstrations to assert American Indian rights nationwide. The fishing acts, however, violated state regulations at the time, and prompted raids by police and state game wardens and clashes between Indian activists and police. Demonstrations staged across the Northwest attracted national attention, and the fishing-rights cause was taken up by celebrities such as the actor Marlon Brando, who was arrested with others in 1964 for illegal fishing from an Indian canoe on the Puyallup River. Brando was later released. Lawmakers in the House Community Development, Housing and Tribal Affairs Committee are hearing public testimony on the bill Tuesday afternoon. Sawyer said he’s not sure exactly how many people would be affected by the proposal. “Even if there’s a handful it’s worth doing,” he added. Sawyer said he took up the proposal after hearing about a tribal member who couldn’t travel to Canada because of a fishing-related felony, and about another tribal grandparent who couldn’t adopt because of a similar conviction. 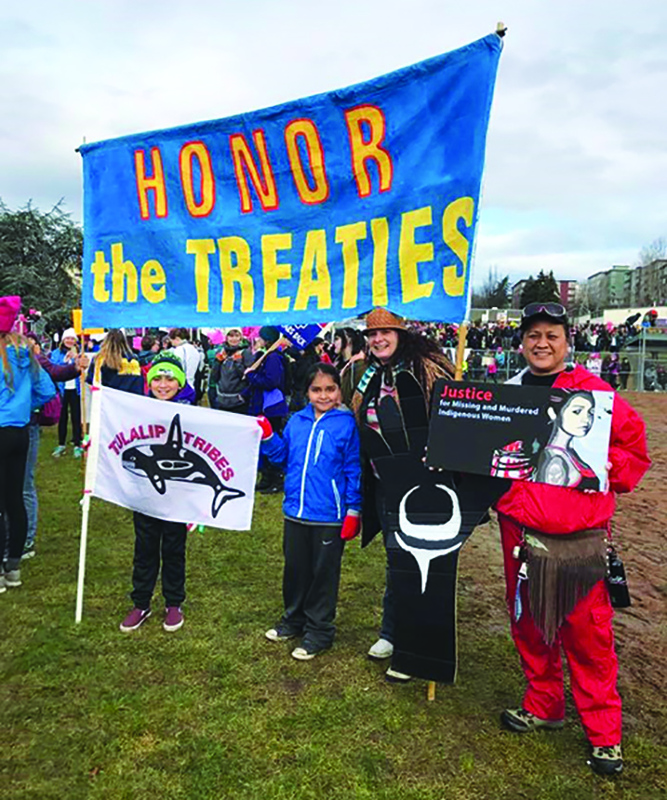 Under the measure, tribal members who were arrested before 1975 could apply to the sentencing court to expunge their misdemeanor, gross misdemeanor or felony convictions if they were exercising their treaty fishing rights. The court has the discretion to vacate the conviction, unless certain conditions apply, such as if the person was convicted for a violent crime or crime against a person, has new charges pending or other factors. “It’s a start,” said Billy Frank Jr., a Nisqually tribal elder who figured prominently during the Fish Wars. He was arrested dozens of times. “I never kept count,” he said of his arrests. 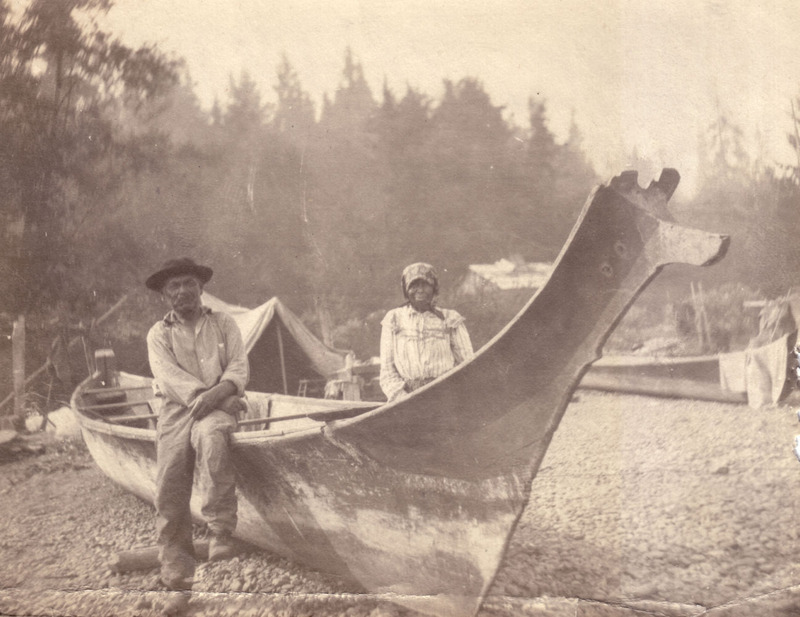 Frank’s Landing, his family’s home along the Nisqually River north of Olympia, became a focal point for fish-ins. Frank and others continued to put their fishing nets in the river in defiance of state fishing regulations, even as game wardens watched on and cameras rolled. Documentary footage from that time shows game wardens pulling their boats to shore and confiscating nets. One of the more dramatic raids of the time occurred on Sept. 9, 1970, when police used tear gas and clubs to arrest 60 protesters, including juveniles, who had set up an encampment that summer along the Puyallup River south of Seattle. The demonstrations preceded the landmark federal court decision in 1974, when U.S. District Judge George Boldt reaffirmed tribal treaty rights to an equal share of harvestable catch of salmon and steelhead and established the state and tribes as co-managers of the resource. The U.S. Supreme Court later upheld the decision. Hank Adams, a well-known longtime Indian activist who fought alongside Frank, said the bill doesn’t cover many convictions, which were civil contempt charges for violating an injunction brought against three tribes in a separate court case. He said he hoped those convictions could be included. “We need to make certain those are covered,” said Adams, who was shot in the stomach while demonstrating and at one time spent 20 days in Thurston County Jail. He also said he wanted to ensure that there was a process for convicted fishermen to clear their records posthumously, among other potential changes. But Sid Mills, who was arrested during the Fish Wars, questioned the bill’s purpose. “What good would it do to me who was arrested, sentenced and convicted? They’re trying to make themselves feel good,” he said. Attawapiskat Chief Theresa Spence last January on Victoria Island during her fast. With one of her closest aides on a walk to Ottawa, Attawapiskat Chief Theresa Spence released an open letter Tuesday calling on First nation leaders to form a united front and confront Ottawa. Spence’s letter is addressed to Assembly of First Nations National Chief Shawn Atleo and senior chiefs in Ontario. Danny Metatawabin, Brian Okimaw and Paul Mattinas and Remi Nakogee began walking Saturday from Attawapiskat down a snowmobile trail that passes through Kashechewan and Fort Albany before hitting Moosonee, Ont. Metatawabin was one of Spence’s closest aides during the Attawapiskat chief’s liquids-only fast which lasted from mid-December 2012 to mid-January 2013. Spence said the walk is meant to remind chiefs about the promises that were made to end her fast. “Danny’s quest is to remind all chiefs and the government of Canada of the undertakings promised during last year’s struggle which remain outstanding,” said Spence. 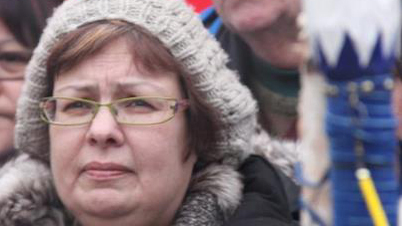 In her letter, Spence calls on First Nations chiefs to form a united front to confront Ottawa. “I call upon you, to listen to the concerns of your membership, to heed their advice, and to call upon your fellow chiefs and set up a special meeting to develop a united stand for the future of our nations,” said Spence. Spence calls on the chiefs to also organize a meeting with the federal government. On November 15, 2013, the Internal Revenue Service published a notice of proposed rule making (NPRM) along with proposed regulations regarding the treatment of certain income derived from Indian fishing rights-related activity when it is contributed to a qualified retirement plan such as a 401(k) or other employer-sponsored pension plan. The notice can be viewed at https://www.federalregister.gov/articles/2013/11/15/2013-27331/treatment-of-income-from-indian-fishing-rights-related-activity-as-compensation. The proposed regulations clear one of the current hurdles to including employees of an Indian fishing rights operation in a typical employer-sponsored retirement plan, such as a 401(k) plan. Unlike most types of employee compensation, Indian fishing rights-related income is exempt from both income and employment taxes under Internal Revenue Code (IRC) Section 7873(a)(1) and (a)(2). Therefore, Indian fishing rights-related income is not included in a taxpayer’s gross income. The IRS has traditionally taken the position that in order to make a contribution to an individual retirement account (IRA) or a 401(k) plan, an individual must have “compensation” that is included in gross income. The proposed regulations clarify that payments received by Indian tribe members as remuneration for services they perform in fishing rights-related activities will not be excluded from the definition of “compensation” for purposes of IRC Section 415 and underlying regulations, merely because such payments are not subject to income or employment taxes. Consequently, the proposed regulations allow employees receiving such payments to participate in and contribute to a retirement plan qualified under IRC Section 401(a). Manitoba’s grand chief is promising a new direction for Canada’s First Nations — one that would not include the Indian Act or the Assembly of First Nations — at a gathering of chiefs taking place this week. Grand Chief Derek Nepinak of the Assembly of Manitoba Chiefs is heading up the National Treaty Gathering on the Onion Lake Cree Nation in Saskatchewan, which could result in the creation of a breakaway group separate from the AFN. Nepinak has been talking about forming the National Treaty Alliance, citing too much rhetoric and not enough action from the AFN on First Nations issues. 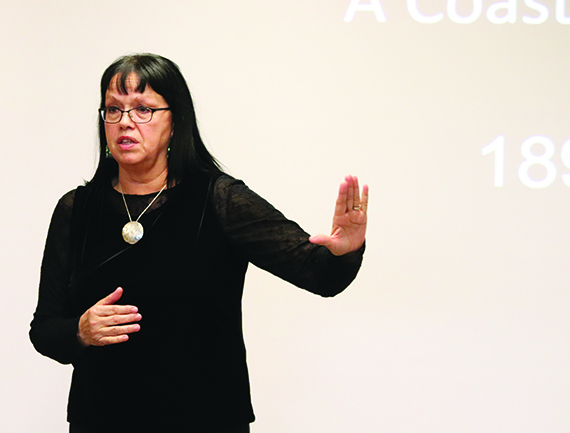 “As these institutions have become more politicized and more developed along bureaucratic lines, we’ve lost them,” Nepinak said at the meeting Monday. In a bold symbolic gesture, Nepinak threw his government-issued Indian status card into the trash — a sign of what he said he wants to do for First Nations people. “This Indian Act card is done with me and I’m done with it,” Nepinak said, before he stood up and tossed his card into a garbage can. Currently, Canada’s First Nations people are governed by the federal Indian Act, which was created in 1876. Under the act, a status Indian has rights to health, education, and tax exemptions for which other Canadians don’t qualify. But Nepinak said he no longer wants anything to do with the legislation. “Do something with that Indian card but distance yourself from it as much as you can,” he said. At the Assembly of First Nations’ meeting in Whitehorse, National Chief Shawn Atleo warned an audience of more than 200 chiefs on Tuesday that conditions for Canada’s First Nations won’t improve if they split into factions. Atleo called for unity and told delegates that the AFN strives to respect the sovereignty of First Nations while “being careful not to overstep” its boundaries. “Our agenda, the First Nations agenda, requires that everyone come together … just as Treaty 7 pulled First Nations together to deal with the rising water,” he said, referring to the recent floods in Alberta. A call for unity should not be confused with a call for assimilation or cultural hegemony, said Atleo, adding that the AFN supports individual nations negotiating treaty issues with the federal government. Some have expressed concern that having some chiefs split off into a new group could potentially hurt the treaty negotiation process. “To create something separate and distinct from the AFN on treaty issues may result in a weakening of positions because not everyone will participate,” said Aimee Craft, a lawyer in Winnipeg. But Jamie Wilson, Manitoba’s treaty commissioner, said Nepinak is prompting a much-needed dialogue about the state of Canada’s treaties. “We’re talking about issues that a lot of people don’t understand, and when there’s a lack of understanding, there’s a lot of prejudice,” he said. Wilson said treaties were signed between First Nations and the Crown to mutually benefit both groups, but those agreements have not been implemented. A decision on whether a new breakaway group should be created is expected to be made later this week.